The BIG RED Welding Range of BIG RED leather welding apparel has been made using the famous BIG RED Leather. BIG RED Leather is chrome tanned to assure softness and durability while resisting heat, sparks, slag and cuts. All BIG RED leather welding apparel seam are lock stitched and sewn with DuPont KEVLAR thread for extra durabilty and strength. Were necesary heavy wear seams are welted for additional durability. 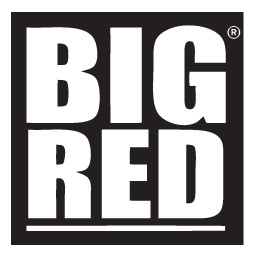 For heavy-duty welding protection BIG RED continues to set the standard of high quality, long lasting products in the industry. The BIG RED welding glove is famous in the Australasian welding market and sets the benchmark for professional welding gloves. The BIG RED is designed for extra durability and comfort, we only use the highest quality leather and cotton liners.Wear seams are welted for additional protection and all seams are sewn with heat resistant Kevlar thread for extra durability.Length 406mm. The BIG RED® welders jacket has been designed with an extended back for additional protection, Velcro® side closure, an inside breast pocket and leather/Velcro® cuff tabs. Wear seams are welted for additional protection and all seams are sewn with heat resistant Kevlar® thread for extra durability. The BIG RED® welders jacket with 3M Reflective Trim has been designed with an extended back for additional protection, Velcro® side closure, an inside breast pocket and leather/Velcro® cuff tabs. 3M Reflective Trim has been added to offer additional Nighttime high visibility protection. The BIG RED® High Visibility welders jacket are manufactured to meet the requirements of Australian Standards AS/NZS 4602:1999 High Visibility Safety Garments. Wear seams are welted for additional protection and all seams are sewn with heat resistant Kevlar® thread for extra durability. The BIG RED® leather welders seatless trousers, fitted with heavy duty webbing waist belt and buckle. Size L. Minimum order quantity 5 mixed sizes. The BIG RED® leather welders sleeves with front and back yoke, press stud closure. Velcro® cuff tabs. The BIG RED® Confined Space Welding Hood with Harness. Shoulder length with internal head harness attached to hood, 400mm crown to gusset.